Looking to make your Facebook page the talk of the entire college? It’s time you warmed up the idea of Facebook timeline templates for download, so that your profiles look like a piece of art! These templates offer you the simplest way to create killer collages. With options such as multiple textures to play around with along with several color options, you will feel like unleashing the creative genius inside you. 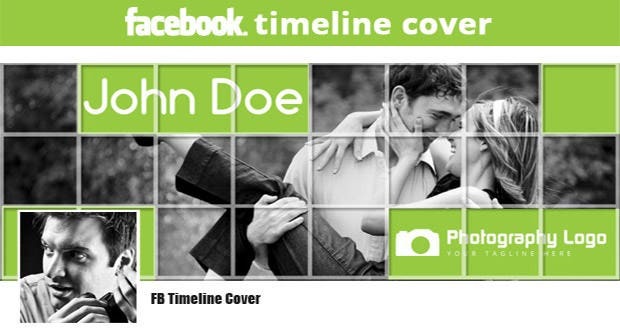 Most of these Facebook timeline templates for download don’t even take more than a few minutes to create stunning outputs. This template is exclusively designed keeping in mind the creative requirements. Customizable interfaces are included besides the layered files and an extended color profile for the enthusiastic designers besides the featured font sets. One can include certain PSD files with this effective template besides the extended color profile. Customizable designs save the day whereas the higher resolution support comes in as a handy option. Exceptional stock images are included with this template besides the exhaustive color profile. PSD files are available in addition to the customizable layouts rendering added support to the creative minds. This template provides a customizable outlook which can be well teamed up with the blog banners. Designs are beautiful and complement the color schemes exceptionally well in addition to the vintage layout. Scalable interface and an editable layout provide the needed boost whereas the PSD files also come in handy. Smart objects make this template a worthy inclusion which in a way makes image additions seamlessly easy. PSD files are included with this template in addition to the 3 color options and a fully editable layout. Higher resolution is supported besides the smart object replacement and an included help file. With 2 covers and a customizable interface, this template comes in handy for the professionals. Featured Fonts and the layered files make up for the lack of images in addition to the editable layouts! This template provides added flexibility in the form of 2 covers and editable PSD files. Other specifications include featured fonts and the replaceable texts and images for the professionals to make use of. Photoshop empowered images and fonts make this template an instant hit among the professionals. Clipping masks and a customizable interface provide the needed boost in addition to the featured font sets. This template includes smart objects for the images besides the fully editable and organized layers. Comments can be added whereas the layered PSD files come in handy for the professionals. This template is a perfect option for promoting an application as better graphics and an extended color profile is featured. 3 different color schemes are supported besides the super organized PSD files. This template includes Photoshop inspired designs and fonts for the professionals to make use of. Other options range from the Like buttons to the customizable interface besides the variable timeline covers! 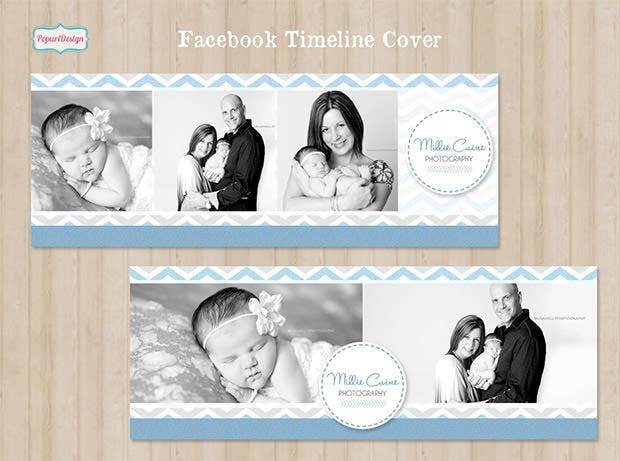 8 unique covers are included besides the customizable layouts which make this template an instant hit. PSD files provide the needed support whereas the video support comes in as a handy option for most. PSD formats are supported in addition to the wooden background which makes this template an instant hit. Flash files and the WP plugins do come in handy besides the Facebook fan page. Multiple timeline covers are included in addition to the clipping masks and smart object inclusions. This template supports higher pixels whereas the customizable layout duly packs a punch besides the varied color selections. This is the latest timeline addition which includes multiple cover designs and effective color schemes for the designers. WP plugins and flash files come in handy besides the layered approach and a customizable interface. Stay vigilant with this useful template which features a bold and modern layout besides the added pages and applications. Layered Photoshop files and multiple cover designs come in handy besides the availability of custom tabs. Provide the professional look to the websites with this resourceful template featuring changeable colors and fonts. Customizable interface makes working easy whereas the editable layouts come in handy for the designers. This template helps include Photoshop inspired images and fonts into the mix followed by the multiple color selections. PSD files and an instruction manual is included besides the scope for complete personalization. Instant downloadable support and free font selections make this template an instant hit. Get the needed set of features in the form of an extended color palette and a customizable interface. 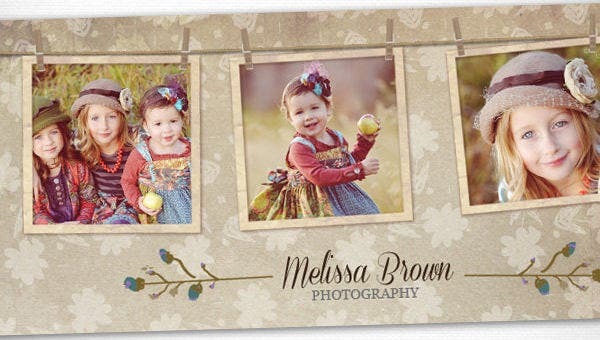 All you have to do is to arrange your favorite pictures and see the templates weave their magic. Already interested? 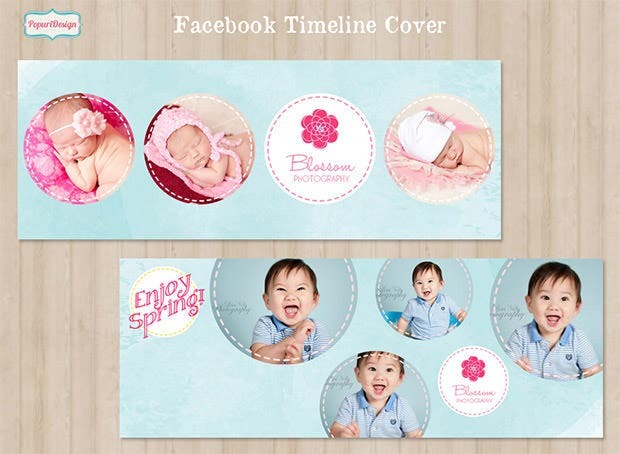 Here are some best rated Facebook timeline cover templates for download, each of which has enough uniqueness to make any list of the top Facebook timeline templates. Make your timelines and other social shares the talk of the town, in just a few minutes; here are the magical templates.